With the majority of ship operators expected to choose low-sulphur fuel over scrubbers to comply with the new IMO sulphur cap regulation, all eyes are on fuel suppliers and whether they can provide what the industry needs. According to Niels Henrik Lindegaard, Managing Director of Maersk Oil Trading, the refinery industry describes the IMO sulphur cap regulation as the biggest shake-up in the industry’s history – and while the bunker suppliers will face a transition period, shipping needs to plan carefully. “Probably, the biggest concern for the bunker industry is that the product they have to sell in 2020 does not yet exist,” he says. Some of the concerns about fuel supply are highlighted in a research report from US investment bank Morgan Stanley. The report points out that high-sulphur fuel oil (HSFO) accounts for about 70% of bunker fuel used by ships today. As HSFO contains roughly 3.5% sulphur, and most ships are expected to switch to compliant low-sulphur fuel on 1 January 2020, almost half of the end market for marine fuel oil will shift to other parts of the barrel. Whether new low-sulphur fuel blends will be compatible between different ports, even from the same supplier, and whether there will be a balance between demand and supply, are major concerns for shipowners and operators. 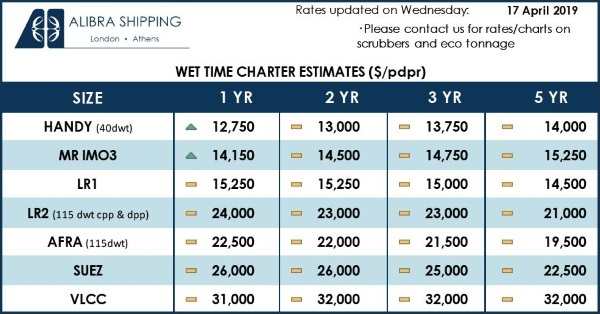 There are also concerns about the availability of HSFO for those ships fitted with scrubbers, as demand for HSFO is expected to plunge, while demand for very low-sulphur fuel oil (VLSFO) is expected to soar. “Using a new fuel ‘blend’ in a ship is not as straightforward as it seems. 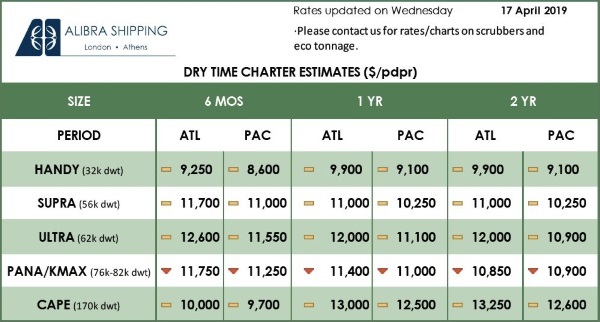 With no standards yet in place for these new fuels beyond sulphur content – for example, viscosity, pour point and flash point – shippers have uncertainty about how they will behave in an engine,” Martijn Rats, Equity Analyst at Morgan Stanley, says. He believes the new regulation also raises the question of HSFO availability at ports, some of which may decide to no longer supply the heavy fuel oil. Maersk Oil Trading expects that there could be a delay in supply of the new compliant low-sulphur blends in the beginning – when the sulphur cap regulation kicks in in 2020. ”The new low-sulphur fuel products will probably be available later, once the oil companies and refineries really see a pick-up in demand from players. This is likely to create an initial imbalance in demand and supply, also in different regions, as well as increasing price fluctuations and higher prices. We may see a temporary shift to burning gas oil until the 0.5% fuel becomes available,” Lindegaard says. Furthermore, the new products may not be compatible with products from other ports and other suppliers, he adds. With regard to heavy fuel oil, Maersk Oil Trading expects there will be enough availability at major ports from the beginning, but that it could take longer for smaller port areas to adjust the supply of heavy fuel oil. Whether ships will need low-sulphur fuel or heavy fuel oil, a fuel-management plan is urgently needed, according to Lindegaard and independent risk management organisation and classification society Lloyd’s Register Group. “If I am going to give advice to anybody, it would be to look at your fuel transition, put a lot of effort into your fuel-management plan and make sure you have run it in before 1 January 2020,” James Forsdyke, Hong Kong and Taiwan Area Manager for Marine and Offshore at Lloyd’s Register says. “The fuel availability and compatibility is out of the shipowners’ and operators’ hands. All they can do is scenario planning. At the end of the day, it is cheaper to wash out your lines with gas oil than it is to take the vessel off hire if you are not compliant,” he says. Lloyd’s Register advises industry players to make sure they understand who the suppliers in the market are, and which compatibility issues there are between each of those suppliers. Forsdyke also advises to run tests, work out how to buy the necessary fuel and work out the credit terms. 1. Put a procedure in place for how to make sure that all “old” high-sulphur fuel has been burned ahead of 1 January 2020. 2. Put a procedure in place for how to clean the tanks if that becomes necessary. 3. Understand the respective flag state and port state control’s requirements for compliance documentation. 4. Plan the procedure for how to handle each low-sulphur fuel batch in case the batch is not compatible. 5. Actively use laboratory results from the tests of the bunkered fuel to understand how to handle each batch on board. 6. Consider increasing fuel reserves on board – at least temporarily – until enough experience with the new fuel types has been acquired. Previous: Big data analytics and autonomous vessels – when will legislation catch up?